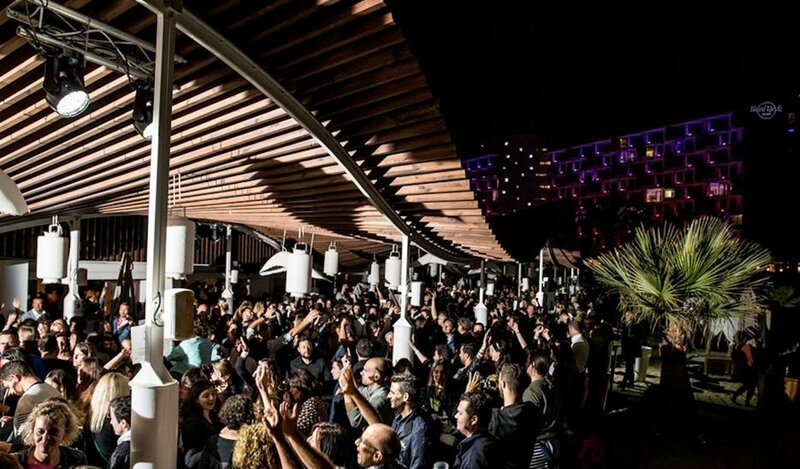 Hard Rock Hotel Ibiza invites you to kick the season off in Ibizan seaside style. Famed for its feel-good tunes and retro vibe, Children of the 80s kicks off the season by the beach of the Hard Rock Hotel Ibiza. The fun-loving party concept is holding a special seaside event on Saturday 5 May to get the party-season going. Held at The Beach Club of the Hard Rock Hotel's resort grounds, this event encourages you to party like it's 1989. With La Movida DJs Petit & Vazquez providing sounds, you will be vogueing all afternoon long. Joining them will be special guest Lugotti, a saxophonist whose uplifting riffs will echo across the Playa d'en Bossa beach club. This one-off beach party is free entry. For the dress code think shoulder pads, leg warmers, skin-tight acid-washed jeans and jumpsuits. Basically, anything that makes you look like you're in a 1980s movie. If you can't make this party, have no fear. The weekly Children of the 80s residency at Hard Rock Hotel Ibiza starts from Friday 1 June and runs until 28 September. You'll have plenty of opportunities for you to groove at this time-warped event.